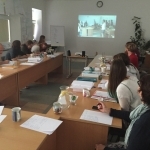 07/23/2015 - Teach for Lithuania 2015 - Renkuosi Mokyti! In fight against human trafficking within/across/from Lithuania and in order to expand array of conversations with ”The Power of Basketball” program’s vulnerable children, the director of the KFF NYC bureau met with organizations working in the field of human trafficking prevention. 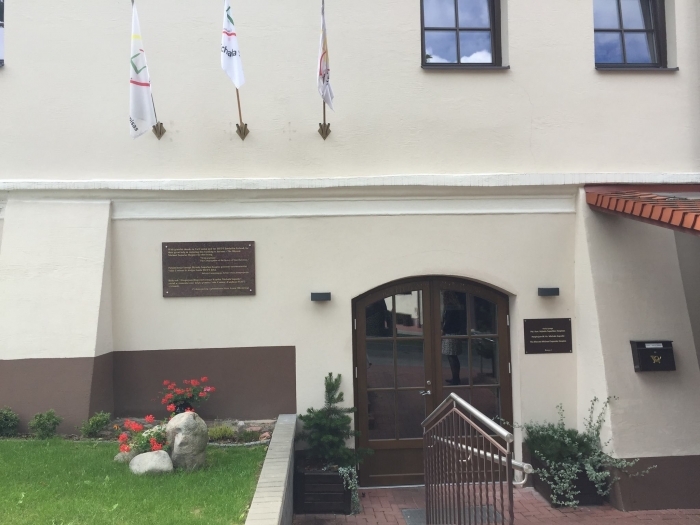 The Blessed Michal Sopocko Hospice, one of the KFF 2014 grantees, was founded in Vilnius in 2009 by the Sisters of Merciful Jesus invited by the Cardinal of the Lithuanian RCC Audrys J. Bačkis from Poland to Lithuania. 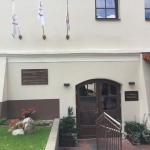 Renovated and opened in 2012 the facility became the first Hospice in Lithuania. 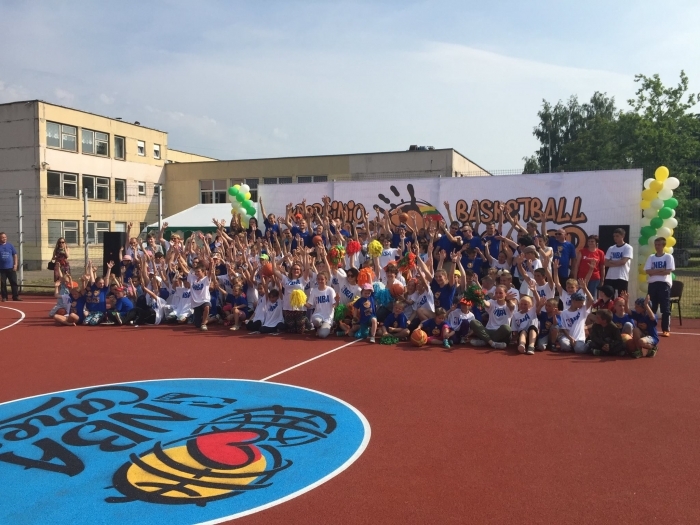 For over a month, the newly renovated basketball court in Šeškinė district (Vilnius, Lithuania) has been in full swing. Cheers, claps, and basketball dribbling sounds are heard throughout the day. Sometimes they are interrupted by a coach’s whistle. 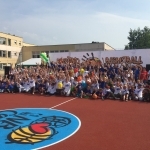 On June 14, a day long court opening ceremony marked the end of the pilot social responsibility program named "The Power of Basketball". ExCEL Abroad - is a student exchange program supported by KFF. 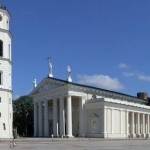 It provides the opportunity for students from US schools to study in Lithuania for a year. Emma ir Karissa, left for Lithuania last summer, where they will spend the following school year through the ExCEL Abroad initiative. Prof. Rimantas Kėvalas (Head of the Childen’s Clinic at Kaunas University Hospital of Health Sciences) e-mail after Today's meeting on Dr. & Mrs. Kazickas's legacy in Kaunas Hospital: ”I had an honor to get to know Dr. Joseph & Mrs. Alexandra Kazickas ten years ago. They used to come to the Children’s Clinic. Their daughter Jurate Kazickas came here as well. 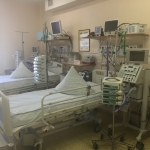 In June, while in Lithuania, Marcie, John, Alex, Augustine and Peter Kazickas, visited Santariškės Hospital in Vilnius. 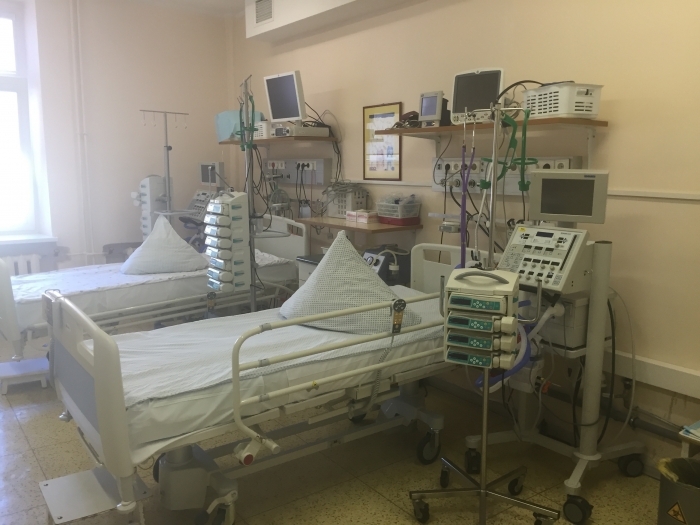 For almost a year, Marcie and John have been working with Eglė Melinauskienė, head of the Mothers Union, in helping sick children in the Children Oncology Department. 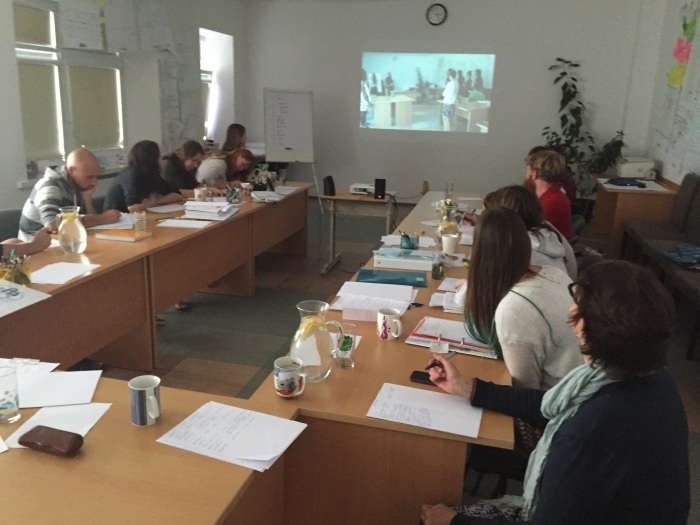 Teach for Lithuania 2015 - Renkuosi Mokyti! „Renkuosi mokyti!“ – “Teach for Lithuania” attracts educated, active, creative and motivated young people to become teachers. The program is one of 36 Teach for All network partners worldwide. Its mission is to help each child learn, especially those in rural or semi-rural communities where children have fewer educational opportunities and score lower on academic measures. 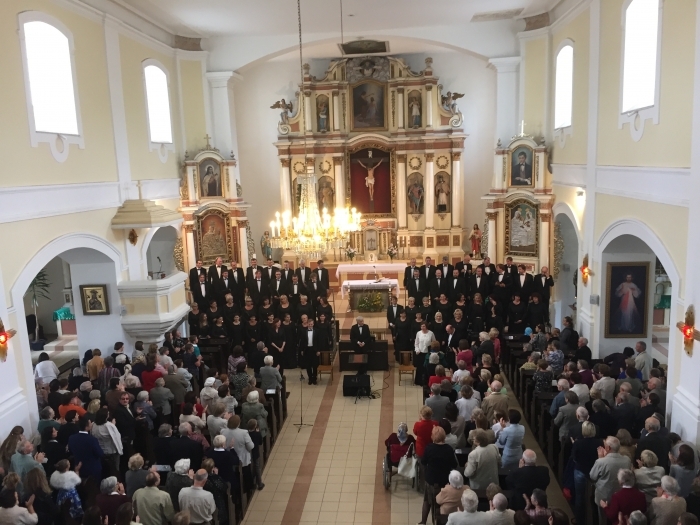 Sisters of Providence of Lithuania (Utena, Northeastern region of Lithuania) have been providing catechesis to the youth, pastoral care to the sick and to the incarcerated, organizing Alpha courses, working with the youth and families, conducting religion classes in the local school since 2012. 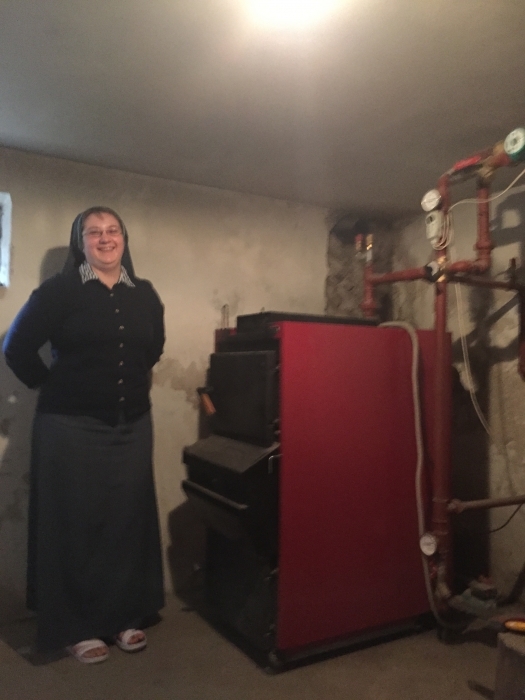 In the region, in order to meet spiritual needs of the population, the sisters need to renovate their home which also houses a chapel, guest rooms and a meeting hall. 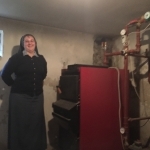 The KFF gave a grant to install a new furnace for the heating. 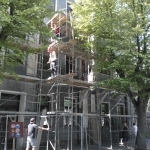 On June 23, Jurate Kazickas, the President of the KFF and Zenonas Bedalis, the KFF Executive Director of Vilnius bureau visited the President Adamkus Library , which is the first Presidential Library in Europe, currently under construction. They were greeted by Prof. Egidijus Aleksandravicius, member of the Board of Directors, and Arunas Antanaitis, Director of the Presidential Library. On July 13, Neila Baumiliene, the KFF Executive Director of New York bureau also met with Arunas Antanaitis. 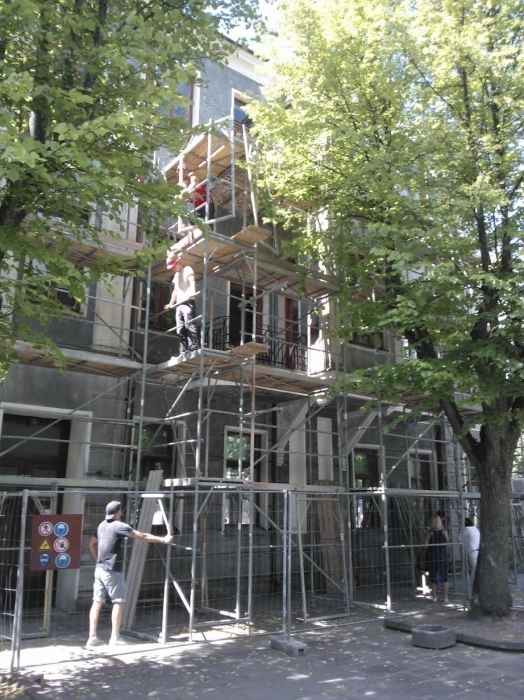 One hour and a half Memorial service for Dr. J.P. Kazickas was celebrated in PASVALYS (Lithuania) ST. JOHN THE BAPTIST CHURCH on Sunday, July 12th at 11:30 a.m. 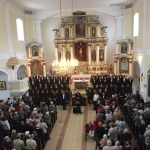 The Mass was followed by Pažaislis Music Festival concert with Gabriel Faure - REQUIEM.